Featuring Polaris and Artic Cat Snowmobiles. New machines every year, 4 stroke snowmobiles, courtesy shuttle in town, heated handlebars, tall windshields, adult and kids clothing, lodging packages, over 25 years in West Yellowstone. Right on trailhead. Best rates in the area. 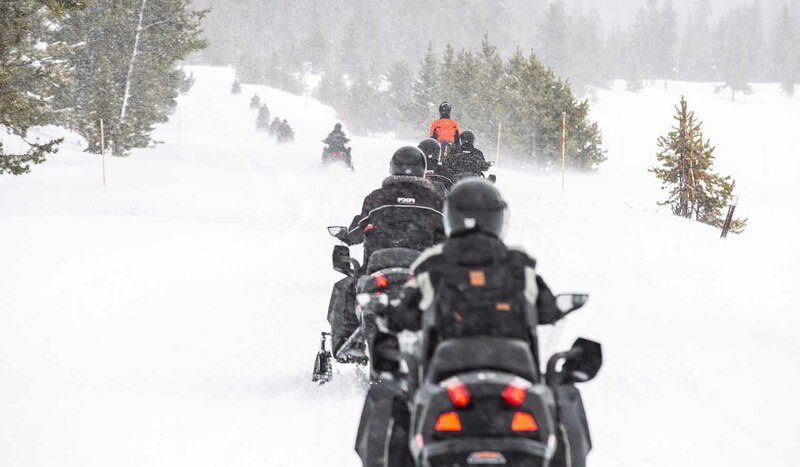 Guided Yellowstone Snowmobile Tours. Park Snowcoach Tours starting at $109. Call for free information package. Authorized Yellowstone Park Concessionaire.